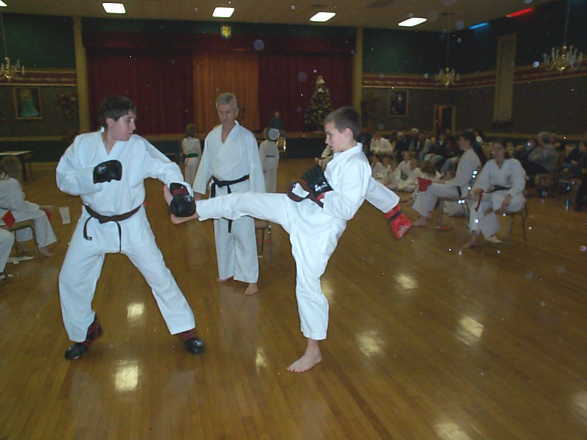 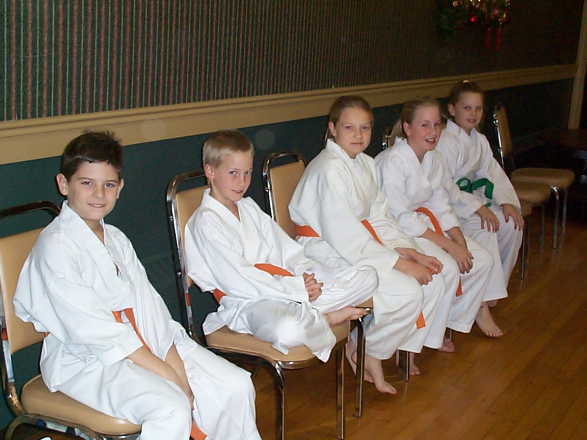 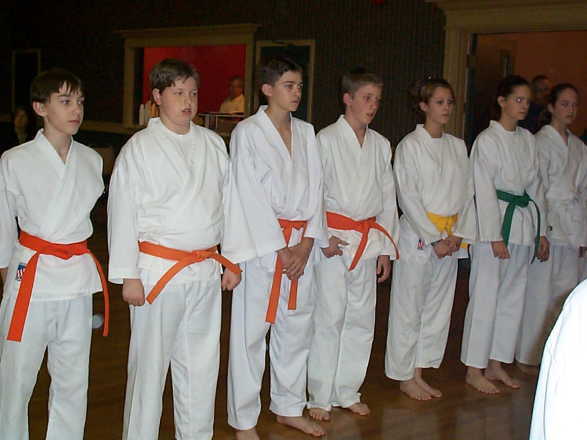 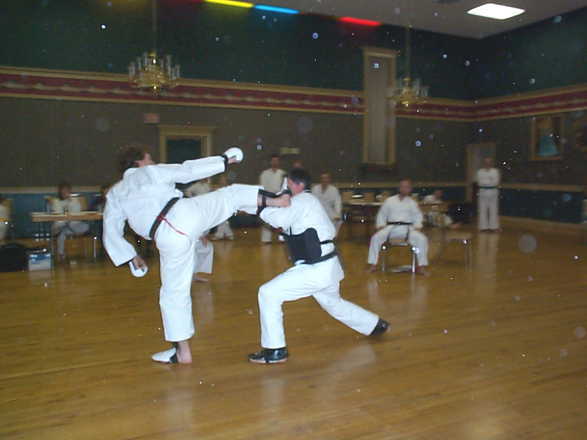 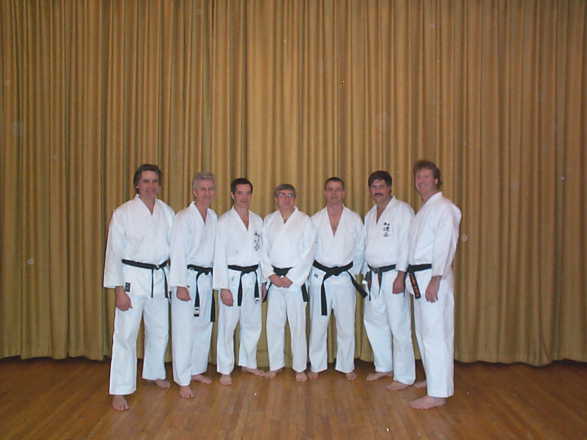 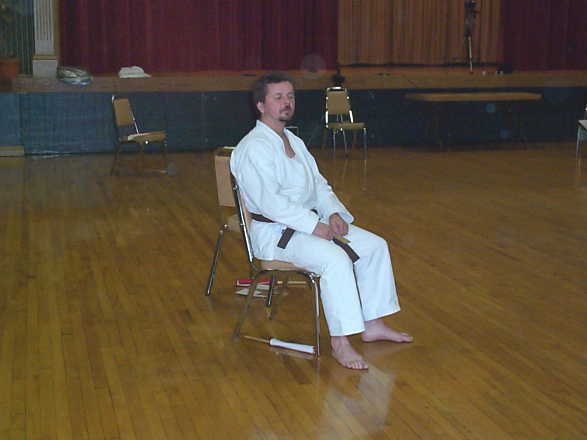 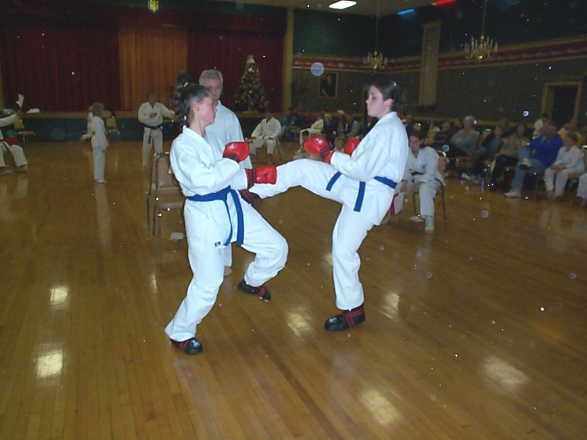 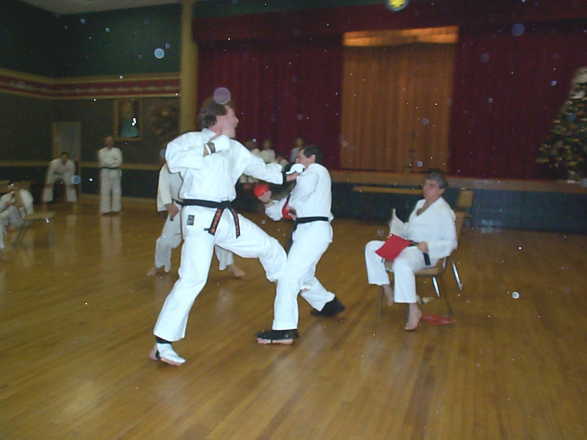 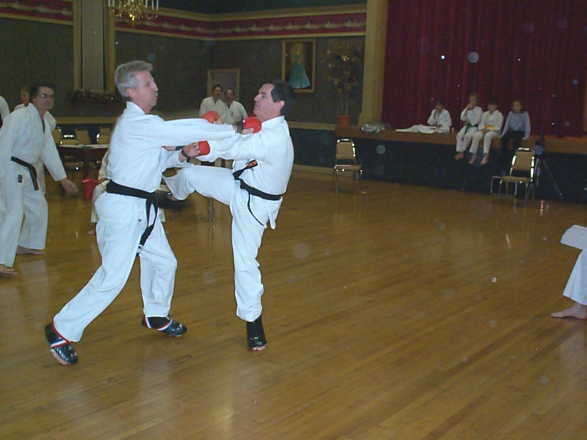 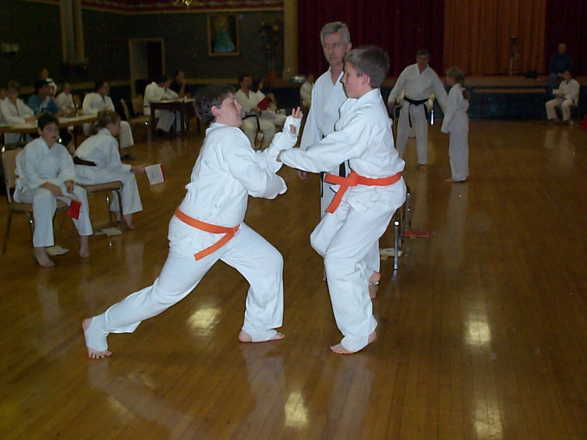 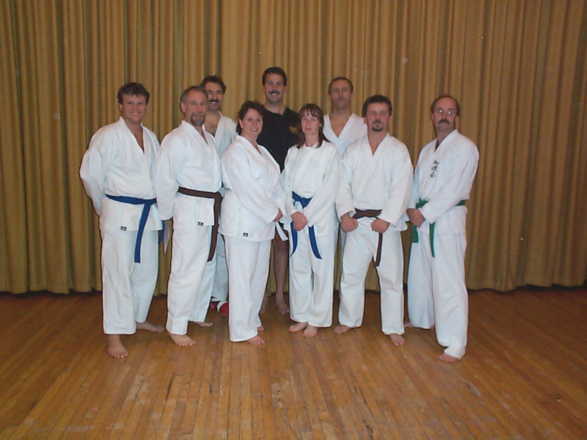 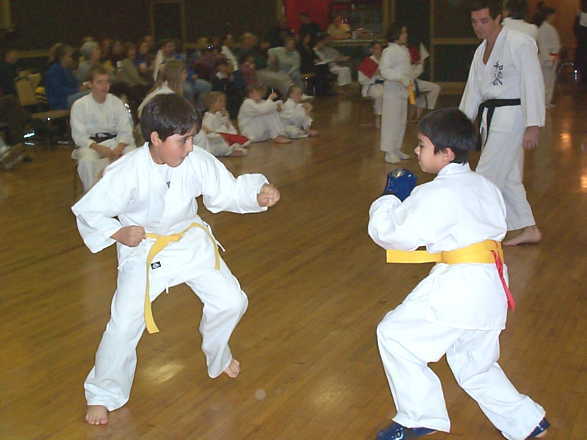 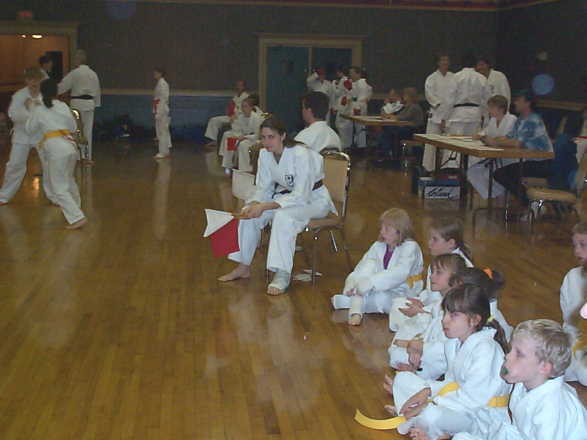 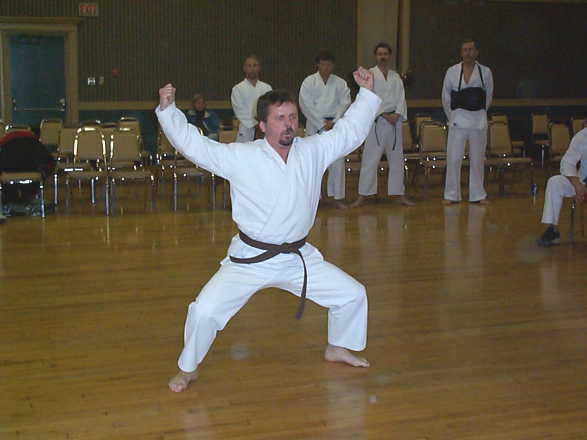 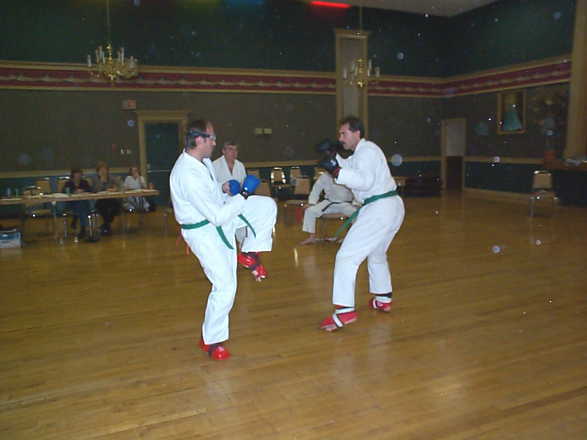 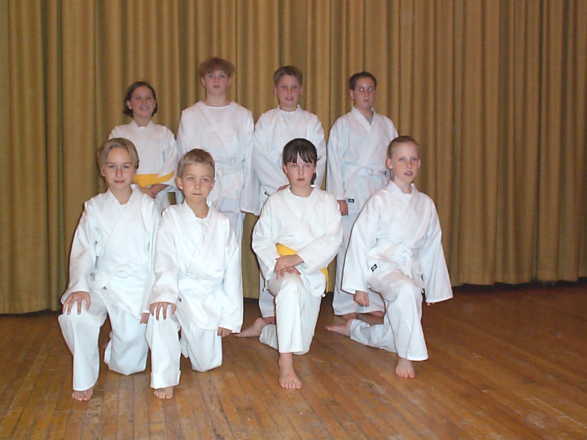 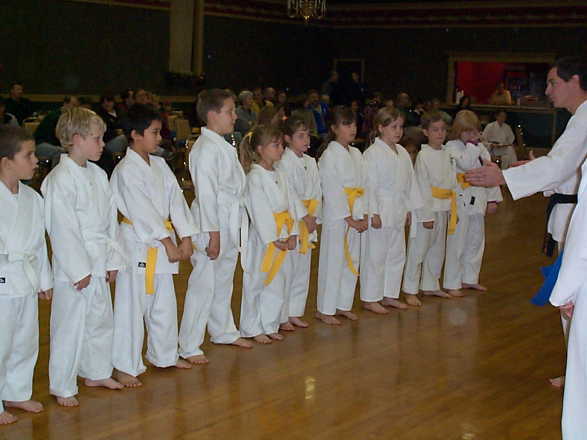 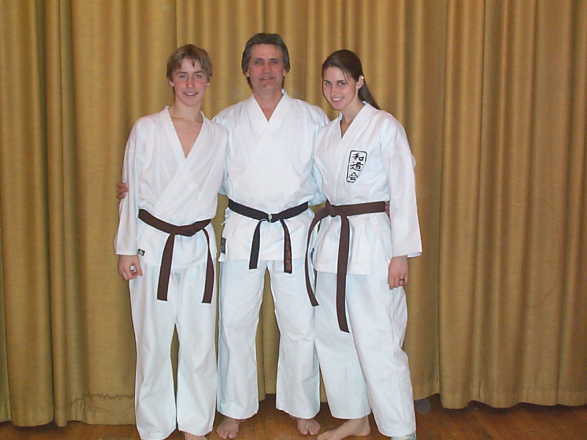 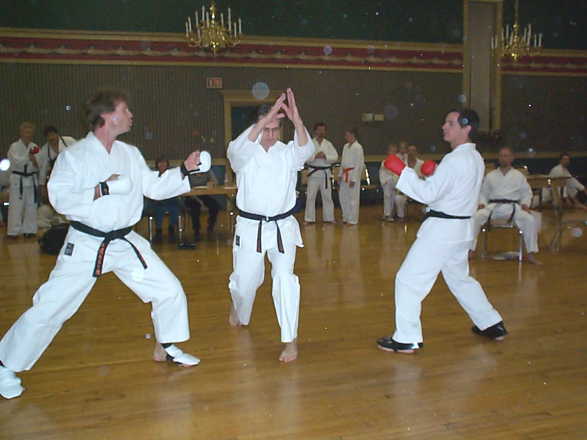 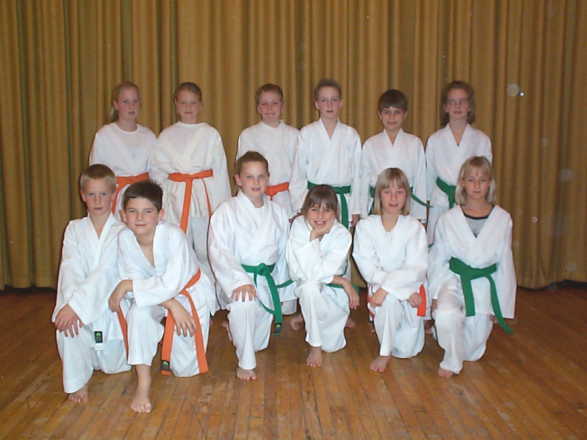 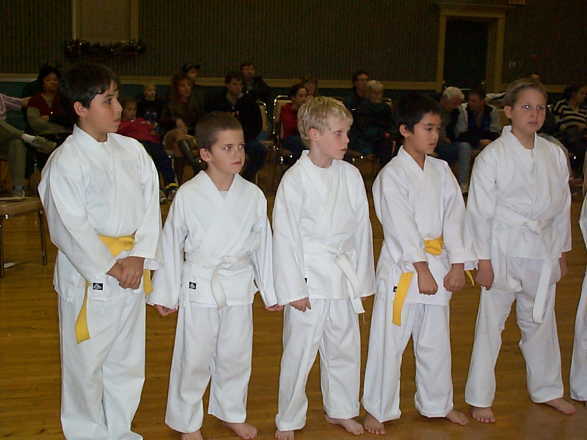 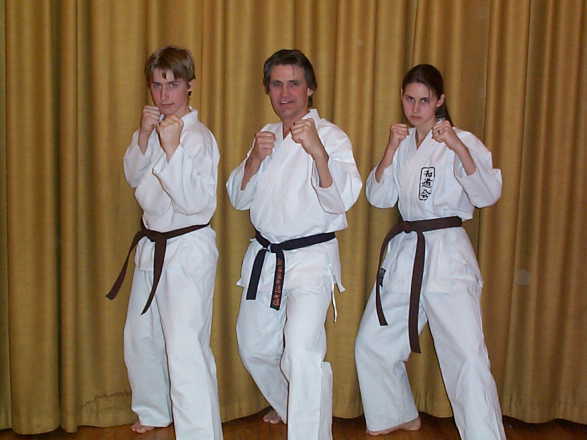 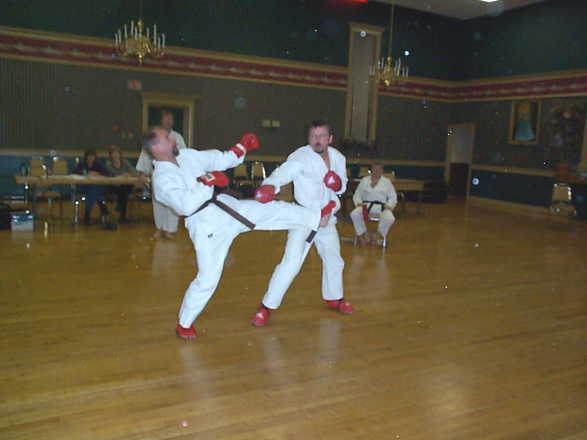 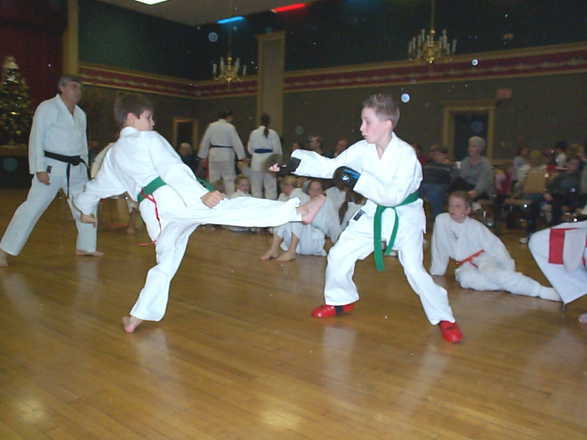 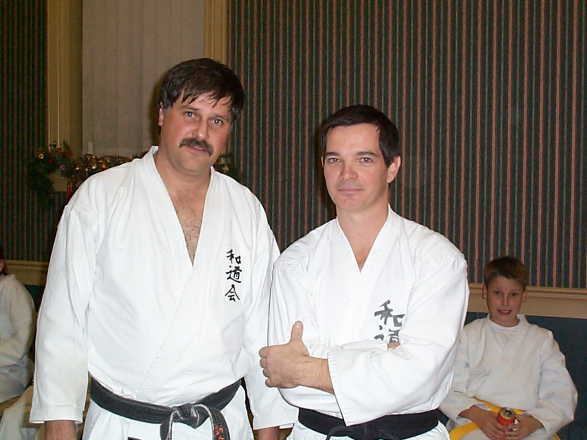 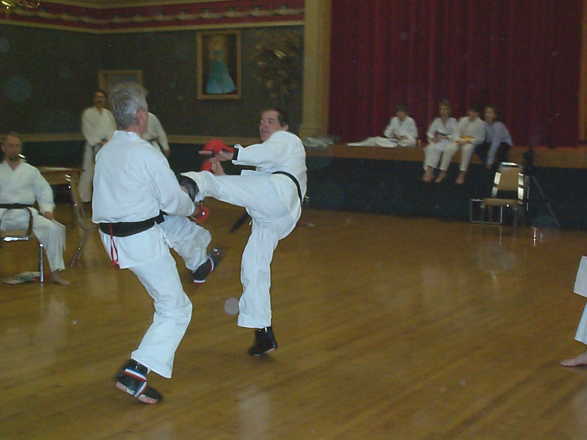 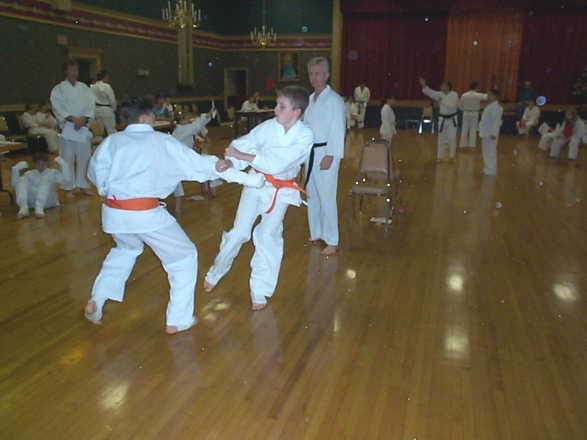 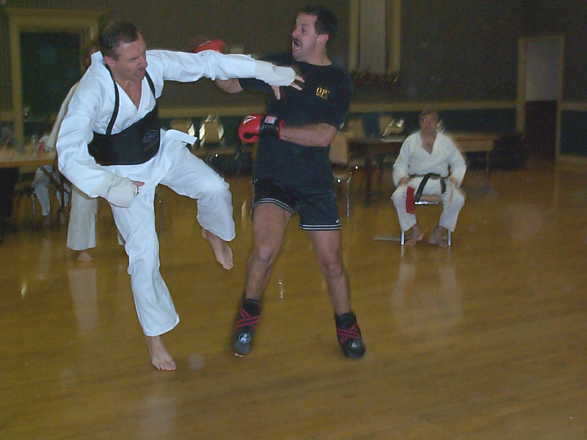 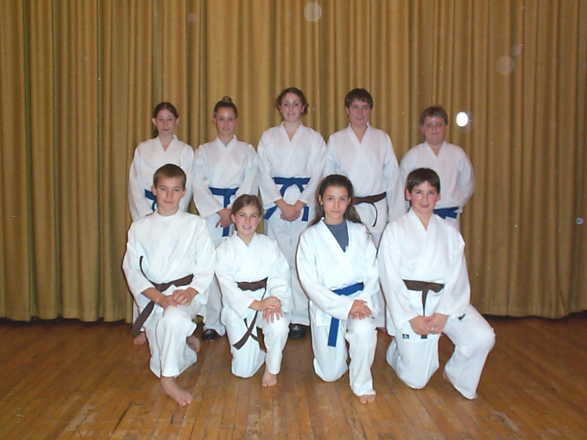 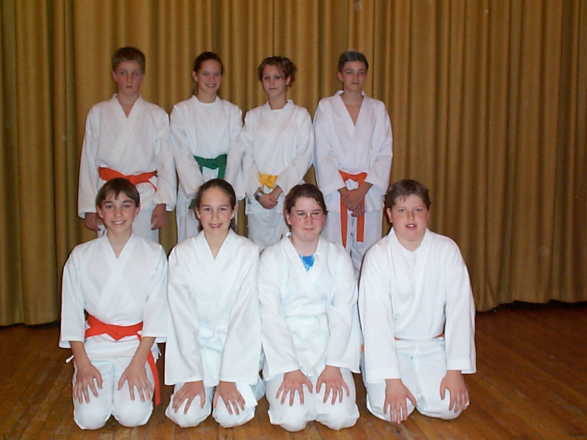 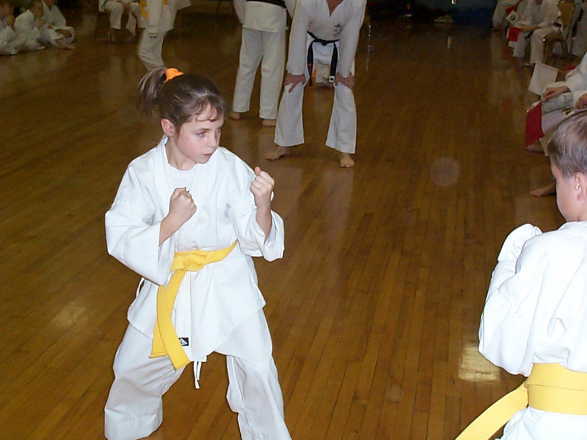 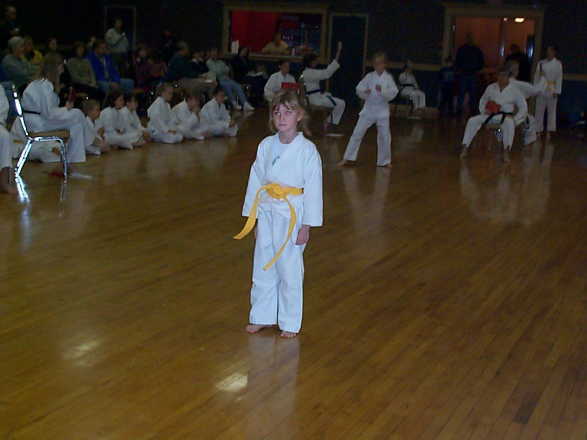 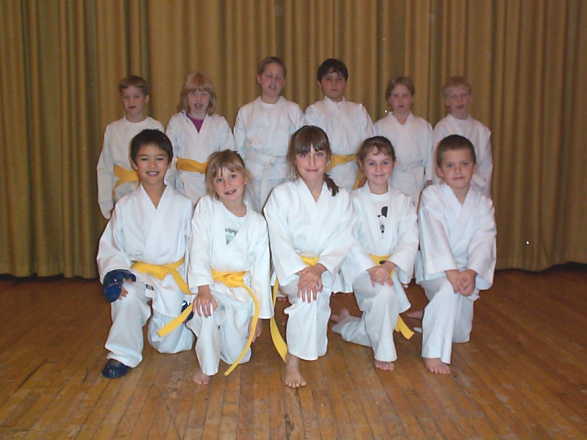 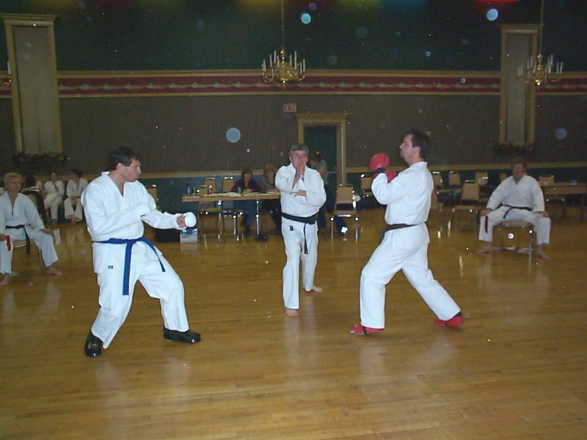 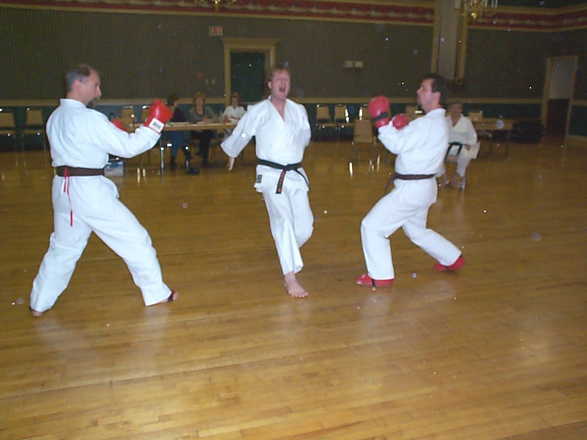 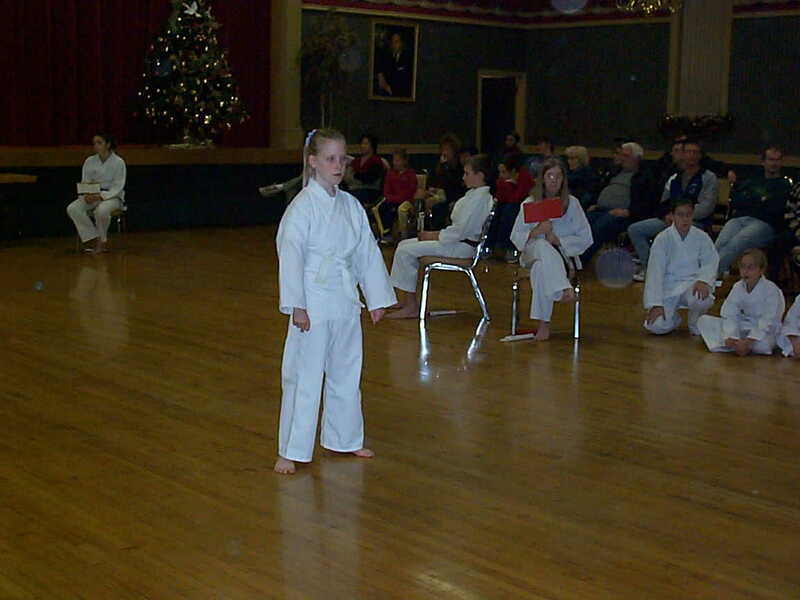 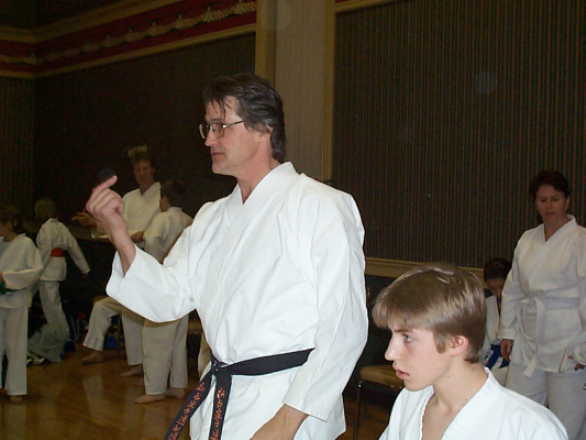 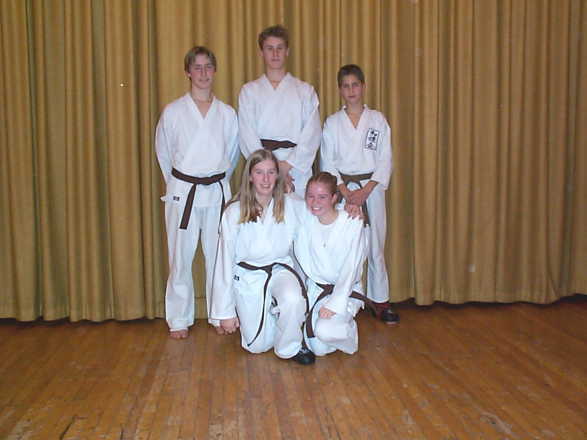 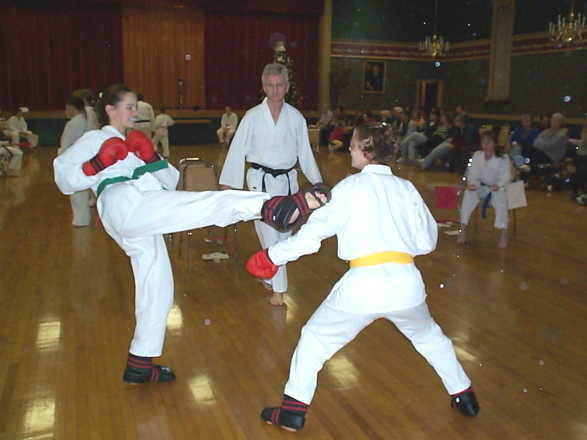 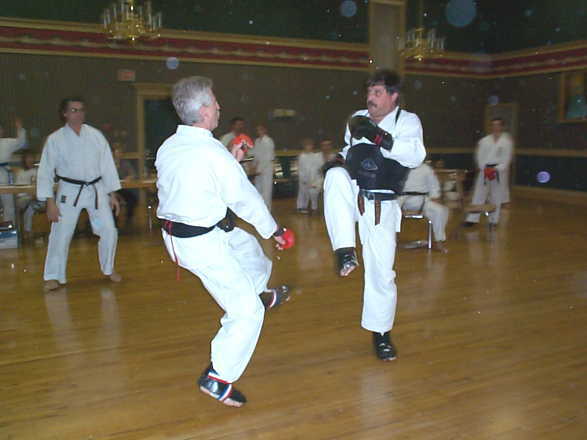 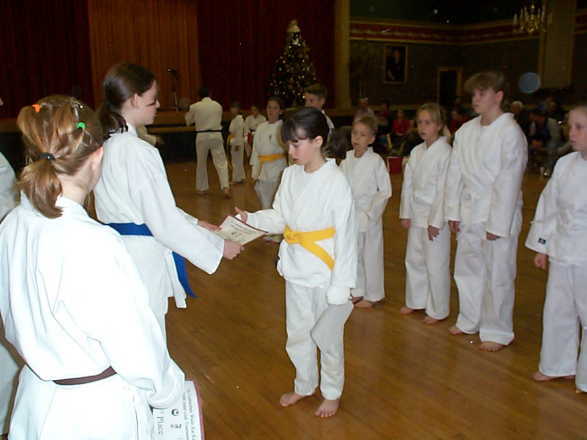 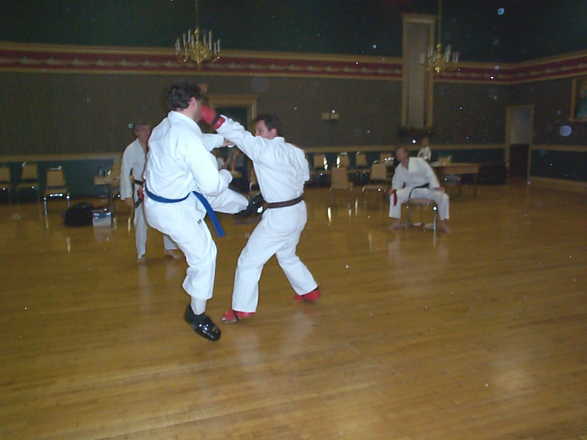 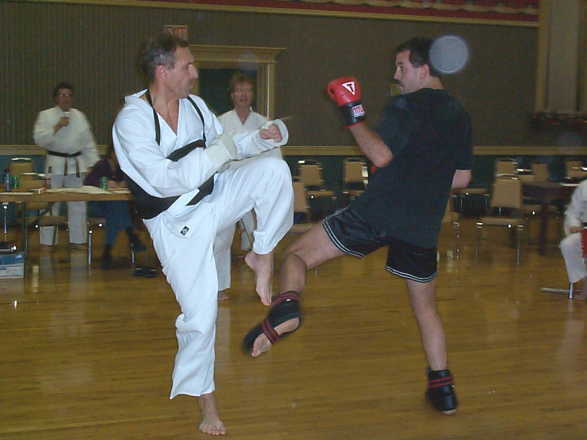 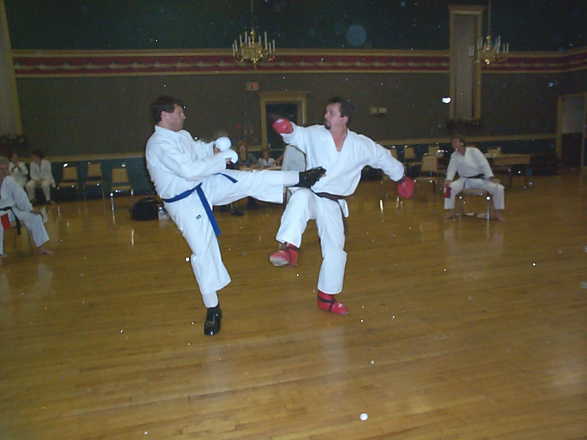 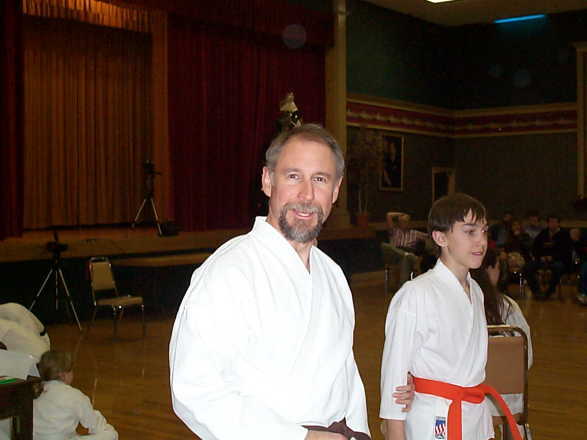 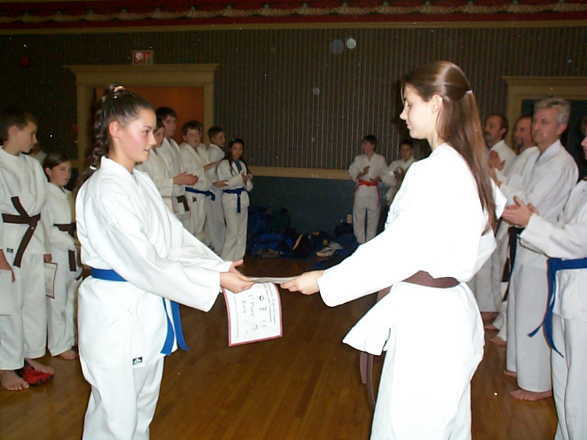 On Monday November 27th 2000, members of the St.Catharines, Grimsby, and Niagara on the Lake Wado Kai Karate Clubs gathered for a great evening of spirited competition. 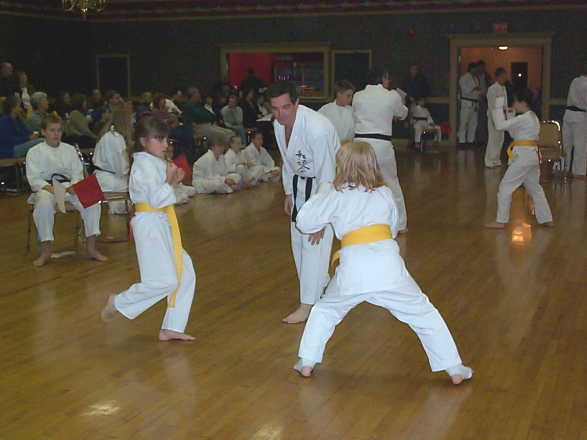 The competition is used as a learning base for competitors and judges alike. 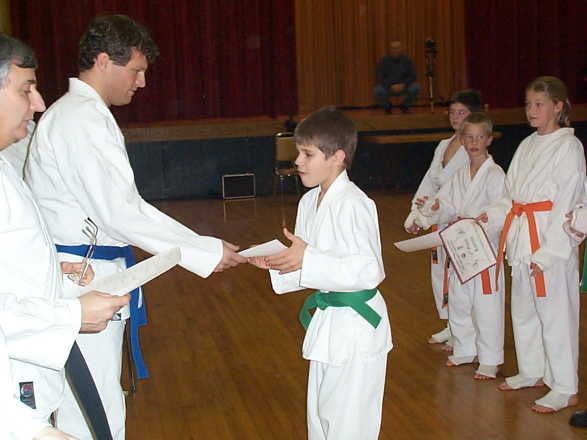 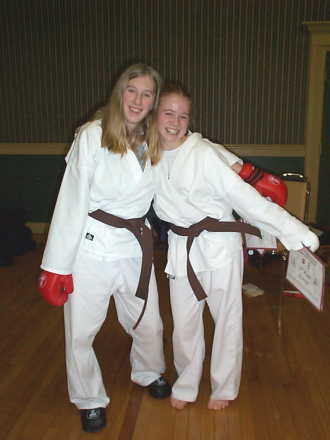 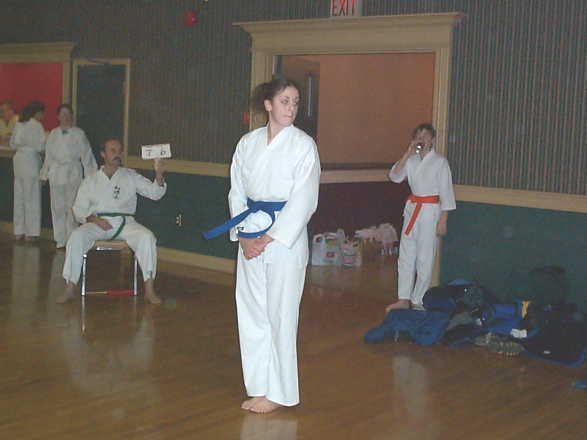 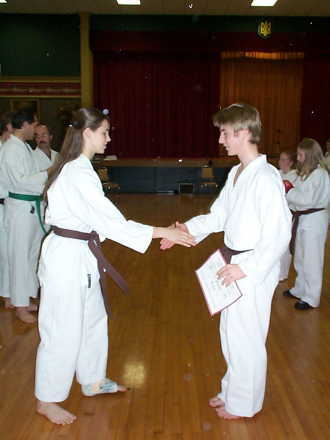 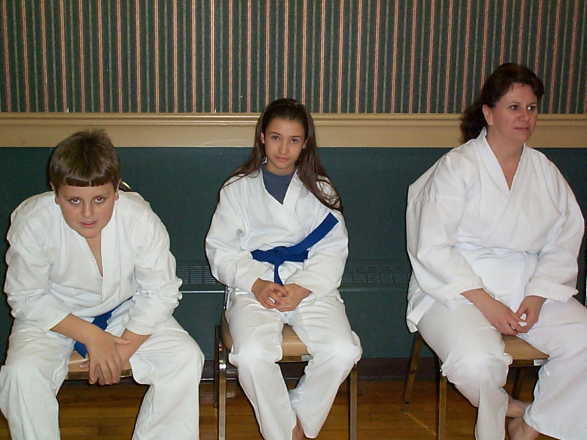 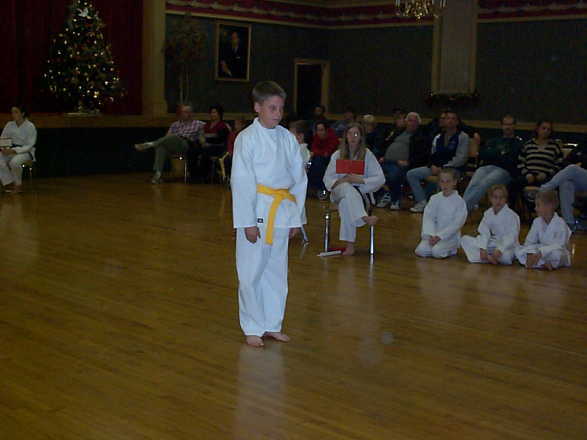 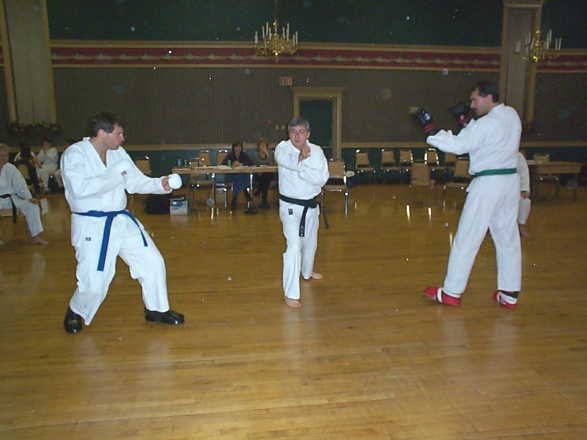 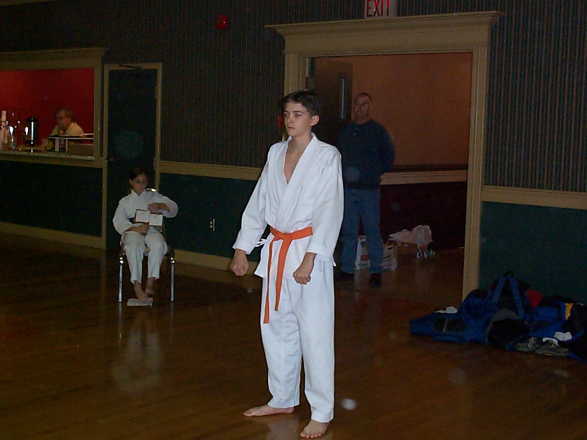 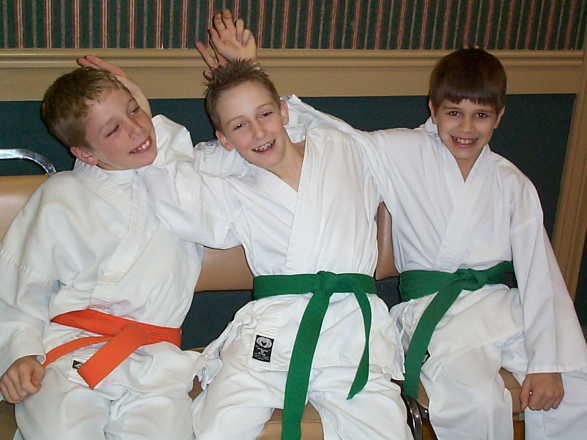 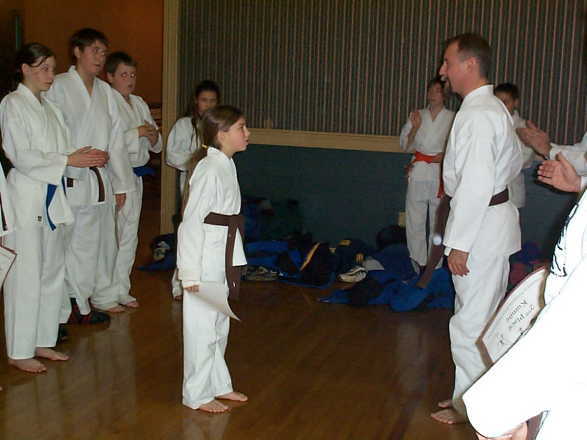 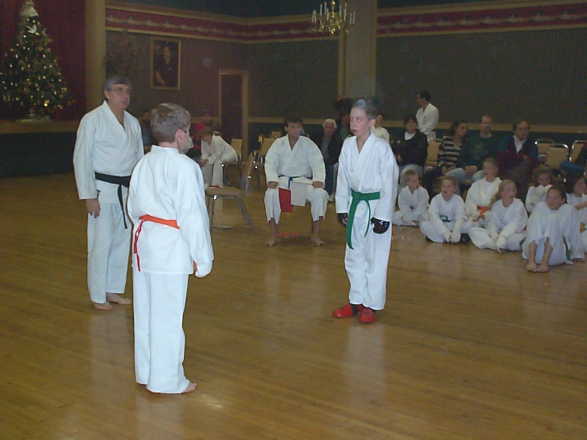 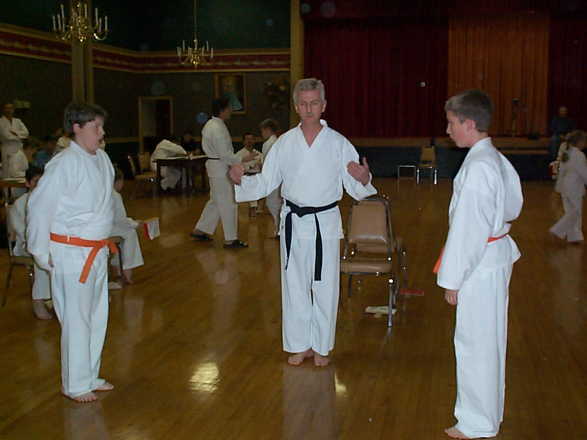 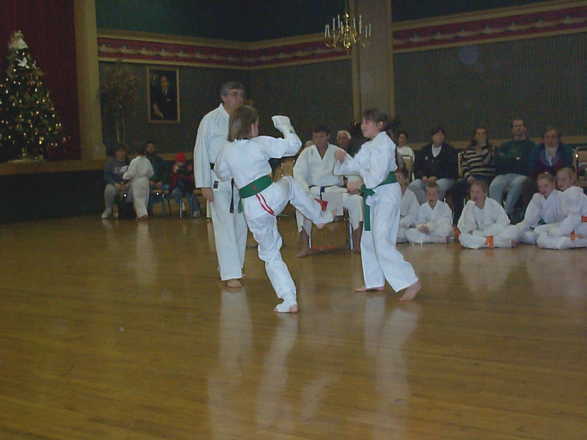 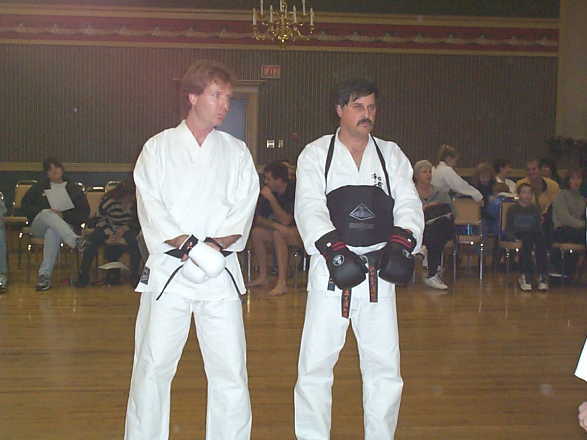 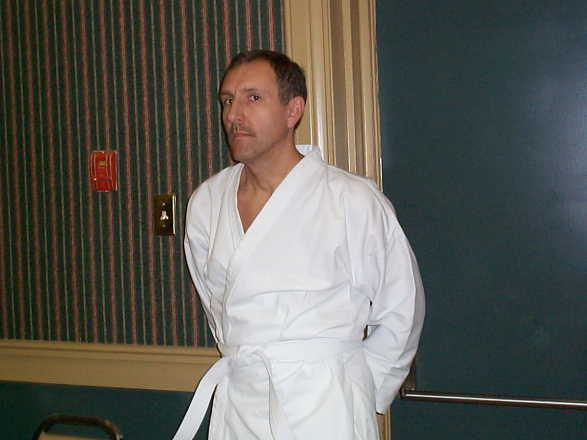 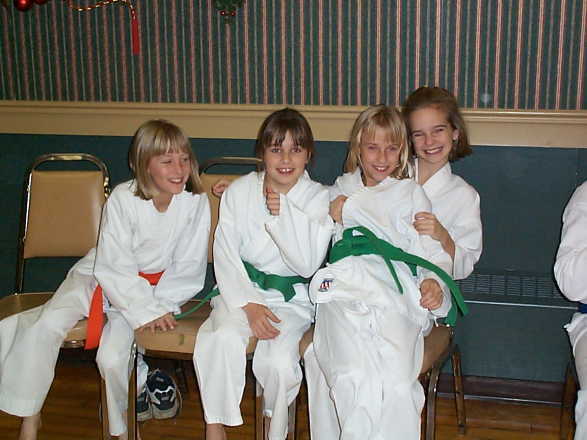 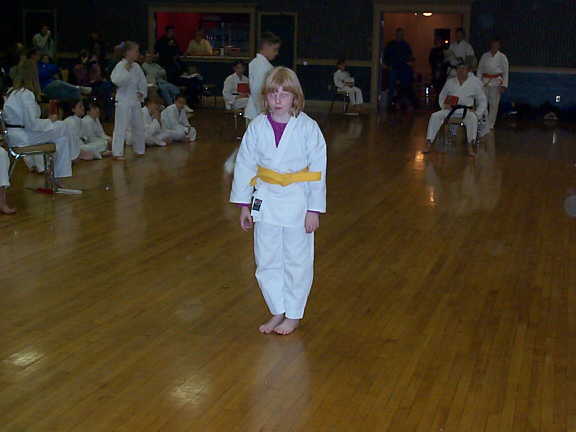 For the most part we used a Black Belt as a referee with 4 kyu belts (green, blue and brown) as our corner judges. 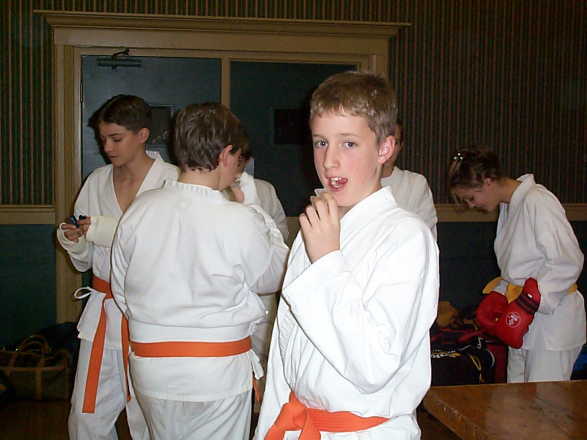 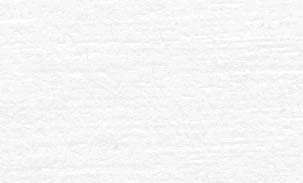 Since there are so many pictures, I have given a brief discription of each that will link to a full size shot.